The Aragosta company was founded thirty years ago in the Netherlands. Aragosta products have an awesome reputation worldwide and are famous in Japan through Paris-Dakar events and Touring car motor sports. They are also recommended as performance upgrades by Knight Sports, Top Secret, Midori and many more. These are very reputable companies in their own right. 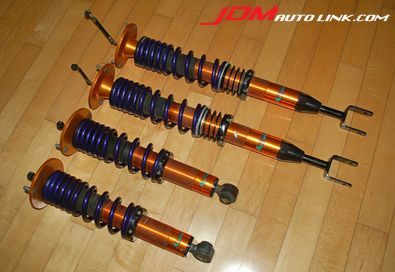 We have a set of Aragosta coilovers for the BCNR33 Skyline GT-R and BNR34 Skyline GT-R. These will also for the ER34 Skyline GTT. 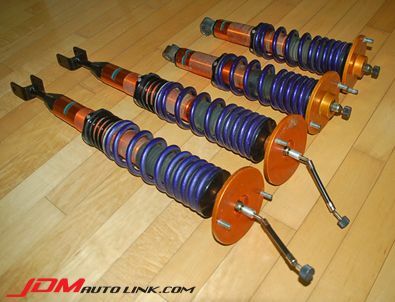 These are very rare and exclusive coilovers. A brand new set will cost around JPY 320,000 and that excludes delivery. 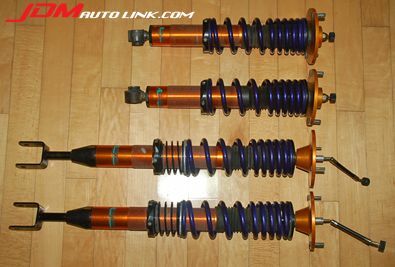 Do not miss the chance to own one of the best coilovers in the market today.